Lancia's version of the new Chrysler 300, pictured, likely will be called the Thema. About 80 percent of Thema sales are expected to be a model with a 3.0-liter diesel engine. 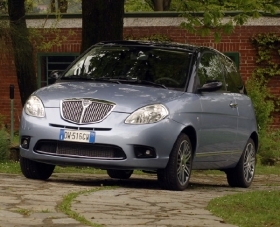 TURIN – Lancia's Chrysler-based flagship likely will be called the Thema, company sources said. The sedan will debut alongside a new version of Lancia's best-selling model, the Ypsilon, at the Geneva auto show in March. The Ypsilon is key to Fiat CEO Sergio Marchionne's plan to nearly triple Lancia sales in the next four years. The Lancia flagship will be a rebadged version of the new Chrysler 300 sedan. Lancia hopes the Thema will give the slow-selling brand an image boost but it will not be a volume seller with annual sales forecast between 10,000 and 15,000. The Thema will go on sale starting in late 2011 with a Lancia badge in mainland Europe and as a Chrysler in the UK and Ireland, where Lancias are not sold. The Lancia version of the Chrysler 300 will have minor tweaks, such as a different grille and Europe-specific bumpers. About 80 percent of Thema sales are expected to be a version with a new 230-hp, 3.0-liter V-6 turbodiesel engine built by Italy's VM Motori. The Lancia car will also offer the same gasoline engines as the Chrysler 300. The new Chrysler 300 for the U.S. market will debut in January at the Detroit auto show and will go on sale in North America in the first quarter. 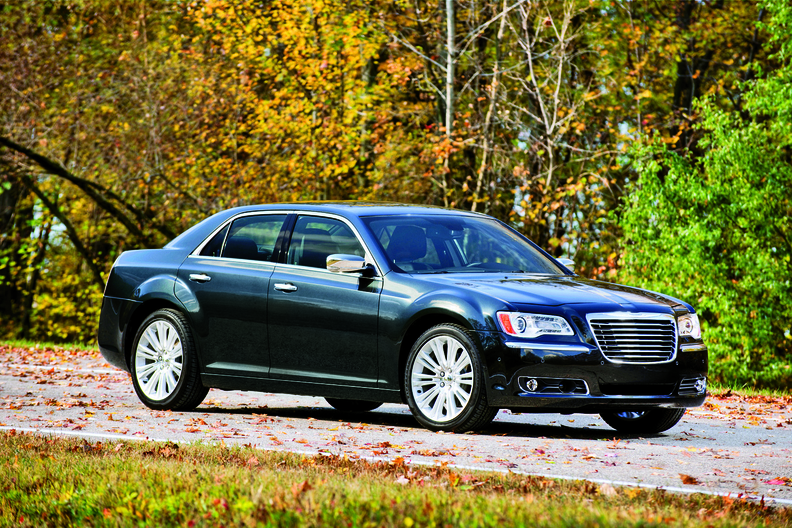 It replaces the six-year-old current car and has the new face of Chrysler, with a redesigned grille and badge. The interior has been redesigned to be more upscale than the current model. Fiat, which controls Chrysler with a 20 percent stake in the U.S. carmaker, is integrating Lancia with Chrysler. The company said in April when it unveiled a five-year strategy plan that it would debut Lancia's new flagship and the new Ypsilon at the 2011 Geneva show. “All new Chryslers developed after the union with Lancia will have superb European handling. They will convey a real sense of feel for the road,” said Olivier Francois, Chrysler/Lancia CEO said at the Paris auto show in October. Fiat aims to boost Lancia's sales to 300,000 in 2014 from 112,000 last year and the company hopes adding a five-door Ypsilon will attract more buyers for the Fiat Panda-based new model. The current Ypsilon, based on the past generation Fiat Punto, was launched only as a three-door in 2002 and will remain in production till the end of 2011. The current Ypsilon, shown, is Lancia's best seller. “Five-door cars cover 75 percent of subcompact sales in Europe,” Luca Napolitano, head of the Lancia brand for Italy said at the Bologna motor show earlier this month. Lancia plans to sell 130,000 units a year of the new Ypsilon, compared with 85,000 peaks sales of the current model in 2004 and about 60,000 units in the past two years. The new Ypsilon will go on sale in June.